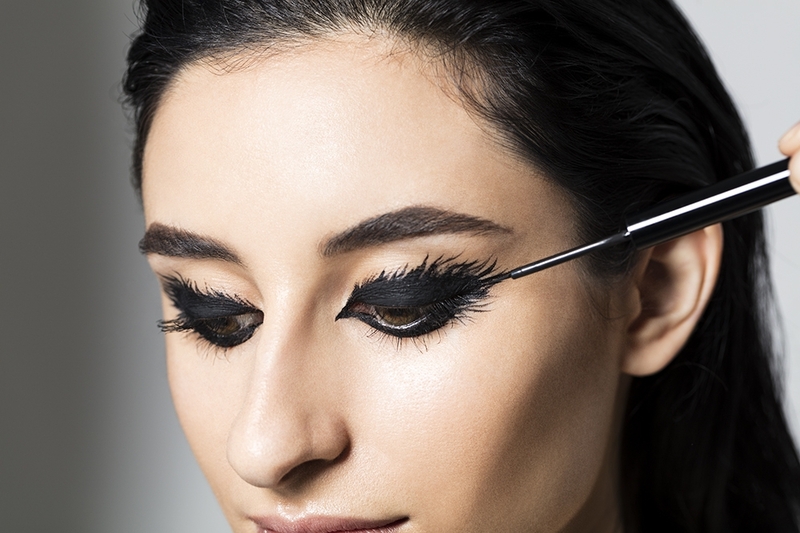 Follow the shape of your eye and draw a line close to the lash line. 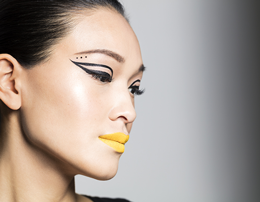 Create texture, depth and dimension around the eye with light strokes using the brush tip eyeliner. Hold the brush horizontally across the lashes and pull up through the lashes in a zig-zag action, nestling the brush first in the lash line. 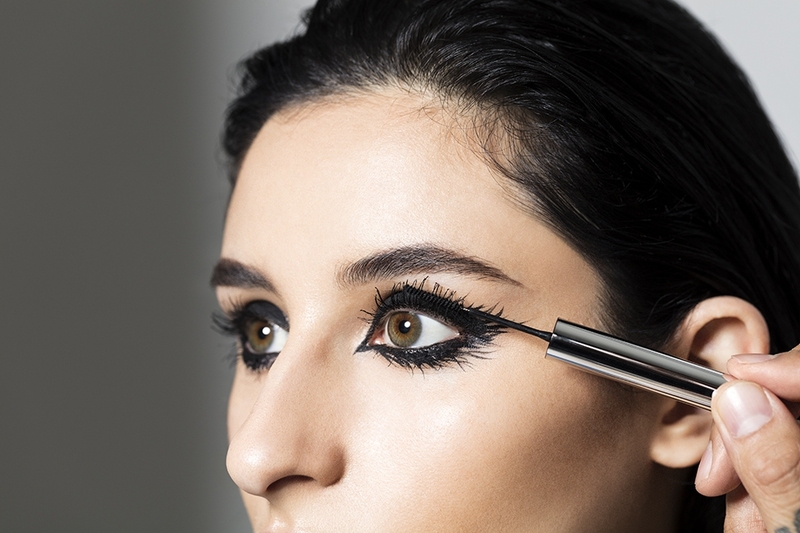 Apply a layer of mascara on the lower lashes. Apply the highlight lightly onto cheekbones, bridge of the nose, cupid's bow and brow bones for a stunning natural looking glow. Blend with fingers or beauty sponge.